Hey! We’re the Bach & Beethoven Experience — but you can call us the BBE. We're not your grandma's granny's Bach. We break the rules of traditional classical music and don't apologize for wanting to drink some beer while we play some tunes. So, what happens when you cross classical, folk, or modern music played on 18th century period instruments with a pub? You get a musical experience that brings the past into the now! It’s how our namesakes, Bach and Beethoven, and their contemporaries intended their music to be heard – between friends, on the street, or in a pub. Come as you are, be who you want – it’s about having fun and connecting with us as we offer you an alternative classical music experience! 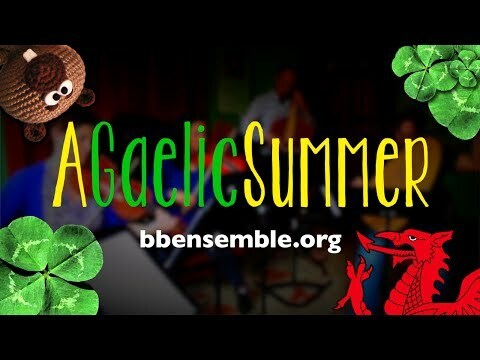 We’re rolling out two new recordings from our folk cross-over summer series: A Gaelic Summer and An Appalachian Summer. You can help us make that happen by donating to the recording production, and in doing so you can bring our music with you wherever you go. Chicago. New York. New Orleans. The wilds of Antarctica. Wherever you are in the Universe, we want to be there with you as part of the soundtrack of your life. Your contribution to our annual campaign will make that possible. Help us get there - and get one (or more) of our concerts as a downloadable album you can listen to anywhere! These albums feature the talents of Thomas Alaan (countertenor, voice), Brandi Berry Benson (Baroque fiddle), Kiyoe Matsuura (Baroque fiddle), Phil Spray (violone), Dave Walker (theorbo/Baroque guitar), Matt Brown (banjo), and Keith Collins (dulcimer). With your help, you can bring our music with you wherever you are in 2019 and add us to your life playlist! !